Your family and friends who care about you would be so thrilled if you could quit cigarettes, right? Maybe you are considering quitting, or maybe you have tried to quit but unsuccessfully. These tips on how to quit smoking comes from an ex-chain smoker, so he knows your struggles. It’s a good time to stop smoking right now and never look back. Life is too short, don’t make it shorter. Use the information in this article to quit permanently. When looking to kick the smoking habit, you must feel that you can do it. Think about all the wonderful things you have achieved in your life up until now. This will help you understand and gain the strength to conquer this dependency. Having faith in yourself is not only important to giving up cigarette smoking, but it’s also essential for total success in your life. Don’t try to quit cold turkey!! (Although many people first try with the cold turkey method, only a small percentage succeed. It’s not for everyone). Cold turkey is not the preferred way to go the first time you try to quit. For many, it can sometimes be an arduous journey. Research studies show that over ninety percent of people who try to give up smoking cigarettes via this method end up relapsing. Decide today that you would implement some of these tips to help you quit smoking. Think of all those hundreds of thousands of dollars you could save in your lifetime by quitting … and add at least 12 years to your life span. 12 quality years to spend with your loved ones. Don’t just say you’re going to quit. If you can find a big enough WHY, you will discover the HOW. This is true for any achievements in life. Analyzing WHY you want to quit is not an option but a non-negotiable necessity. Your personal WHY will give you the strength for your HOW. Your WHYs could be your health, second-hand smoke hazard to your loved ones, the family you love, your savings, and the people around you that you care about. Looking at a picture of a smoker’s lungs may be all you need to give up smoking. When an individual smokes, their lungs turn black after a while, and they could end up with lung cancer. As bad as it may sound, seeing such a picture may trigger a signal in your brain to quit. Take the time to think about how giving up smoking will improve your life. It might help you to know that some of the worst diseases smoking cause are: Lung disease or cancer, heart disease, stroke, asthma, infertility, premature babies, diabetes, vision loss, and various other types of cancer. When trying to quit smoking, tell as many people as possible. The more declaration you do when committing to quitting the better. People who care (and they do care) will not only help you along the way, but can also guilt you into that extra motivation. Make sure your friends recognize that you are determined to stop. 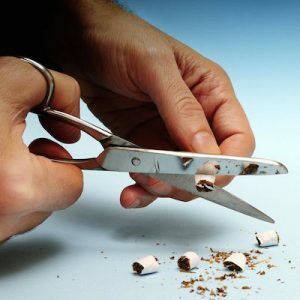 Your friends and loved ones would be happy to help you quit, rather than encouraging you to take the next unneeded puff. Otherwise … you know who your real friends are! At any time you should think that one little puff won’t hurt, you will have those people around you to remind you. When you don’t have anyone to answer to for your careless actions, you can get away with it and eventually fall right back. One of the most common reasons people smoke is when they are stressed. They think that smoke is calming but in reality, it is quite the opposite. 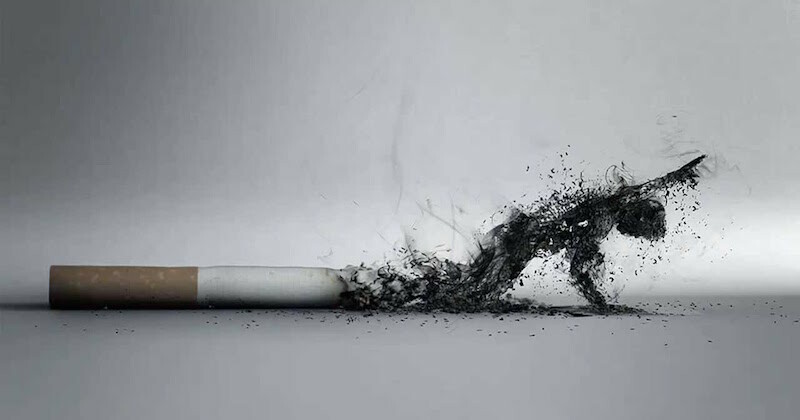 When smoke enters the body, it induces stress by raising the heart rate and blood pressure. Smoking also causes the muscles to get tense and constricts the blood vessels, thus reducing the amount of oxygen supply to the brain. Smoking is a false sense of relief, regardless of the approach you take to resolve any stress. Smoking does not help you to destress. Instead of smoking during a stressful moment, allow yourself some alone-time to evaluate your situation in a calm and quiet place without distraction. Also try these other tips to help you manage your stress. Eating a proper diet and drinking juices daily can be one of the best things you can do when you’re trying to quit. Some options for people in the beginning stages of quitting is switching from coffee to herbal teas. Perhaps after every meal, instead of reaching for that go-to “after lunch smoke”, immediately brush your teeth. Making this few lifestyle changes can have a direct effect on your tastebuds. When a smoker quits, they will immediately regain their senses of taste and smell, another significant bonus for quitting. 5. Is Quitting Cold Turkey The Way To Go? This is probably a trick question, but the simple answer is ANY way that you can quit is a good way. It is possible, however, it is NOT for everyone. Many quit-smoking sites will tell you not to try the cold turkey method, simply because the success rate is too low. If you’re serious about kicking the smoking habit permanently, it’s a good idea not to put too much additional pressure on yourself. Quitting cold turkey does that. Start a solid commitment day. In preparation, have a “ceremonial” destruction (if possible in the presence of witnesses), of any existing cigarettes, ash trays, lighters, etc that tempt you to smoke. Doing this will help you mentally prepare to resist temptation as you walk this journey. Stop for longer durations and periods of time. You will find that you will end up being much better at stopping, to inevitably stopping altogether. Whenever you have the urge to smoke, make a phone call to a person in your support group. Having love and support from people around you will go a long way in helping you to quit. It’s important to remind them that getting over an addiction could create mood swings and cause you to be irritable or impatient, so keep your distance from people who are a negative impact. See #4 above about eating properly to help reduce your withdrawal symptoms. Many people who are trying to quit have to attempt many times before they are successful in totally quitting. Don’t get discouraged if you don’t succeed at the first few tries. Having something in your mouth is a need of your dependency. Try various other ways to keep your mouth occupied. Some find candy or gum to be useful to keep their mouth occupied. Electronic cigarettes or unlit cigarettes are some other options that can be effective tools. We have all heard that the mind is a terrible thing to waste. Well, it’s also much stronger than you can imagine. Your mind can do things you could never conceive, and quitting smoking is probably one of the easiest thing that you can program your mind to doing. When you first started smoking, it was your mind that tells you to. After years of going through the same nicotine ritual, your brain is convinced and is configured to thin that cigarettes and using them, are an important part of you. The simple way to stop is to shake up the beliefs you associate with the smoking cessation effects. So you can tell your mind that you don’t need the smoke. Your mind can do whatever you want it to do. To smoke, or to quit. It’s all in the mind. 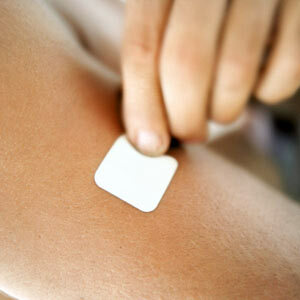 There are various nicotine replacements that can be used to release a much lower dose of nicotine with much lower levels of toxicity, such as nicotine patch, gum or lozenge. These may not be the best options but it certainly helps being the “lesser of two evils”. Tobacco smoke contains many cancer-causing substances such as tars, carbon monoxide and other dangerous toxins that nicotine patches and replacements don’t. Remember though, that these shouldn’t be a long-term solution. This sugar alternative is one of the best remedies for nicotine cravings. Studies in Germany have found that stevia has been found to curb nicotine and even alcohol cravings. Acupuncture is a natural way to help you curb your craving for nicotine and reduce withdrawal symptoms. Along with medicinal herbs and hypnotherapy, these combination of therapies may help address the mental, emotional and physiological aspects of the addiction and can often yield the best results. A little known and sometimes reliable technique for helping you to stop smoking is low-level laser device treatments. It works on the same principles as acupuncture but without the use of needles. It releases endorphins in your body and helps your body to relax. It should be easy to see by now, that giving up smoking cigarettes is within your reach. You just need to make the decision, see it through, and success can be yours. Remember, there are many benefits to giving it up, so begin today by using these tips.